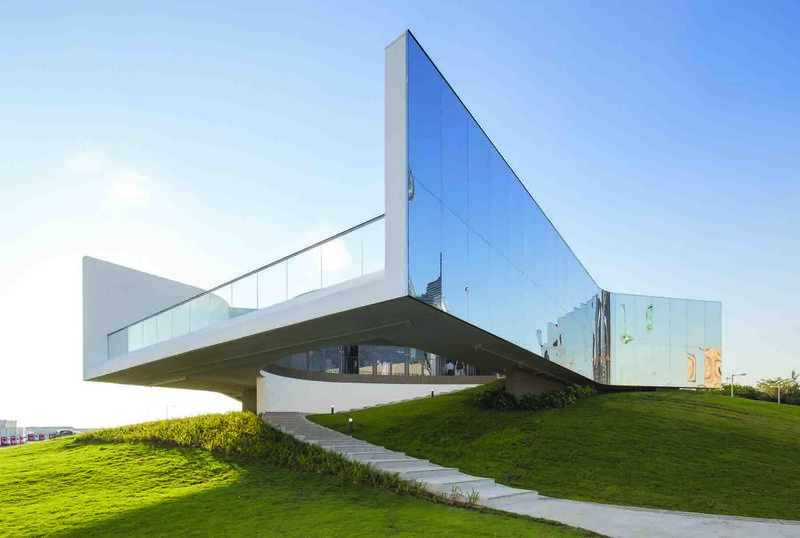 M+ Pavilion by VPANG Architects Ltd.
M+ Pavilion is an exhibition and event space in the midst of the West Kowloon Cultural District. It is the first permanent building in the District and has opened to the public since September 2016. In line with the overall City Park design concept of the District, the Pavilion aims at offering a respite from hectic city life. It should be a simple, pure and clean space; a space situated away from city noise and pollution, a space that could open our hearts, relax our minds, and appreciate artwork amidst the backdrop of the cityscape. The design of M+ Pavilion is represented as a Floating Art Platform. The main exhibition space elevated on a berm made the structure as if floating amongst trees and foliage while the white walls filtered the environment noises and framing the views. Elevated deck and walls are strategically designed to intertwine with its surroundings in a human scale. 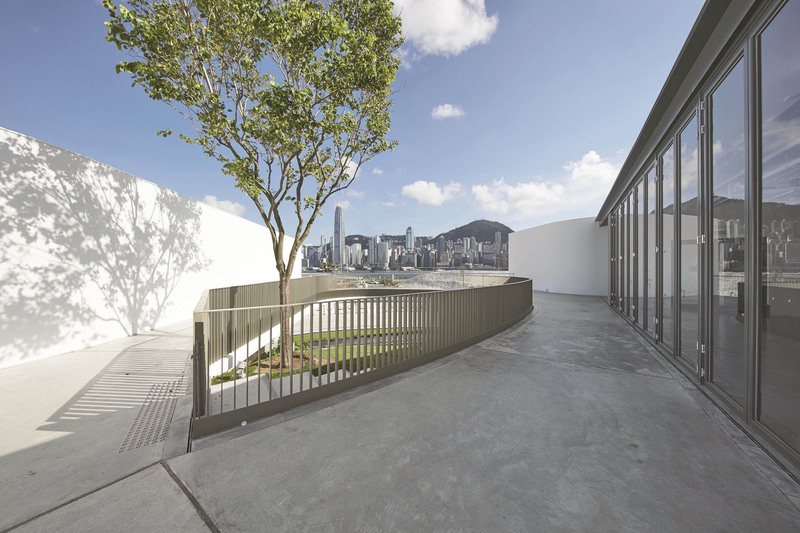 Visitors enter the Pavilion arriving at an elevated outdoor terrace with an expansive scene of the Hong Kong skyline and Victoria Harbor. Blending itself into the surroundings, the camouflaging mirrored external walls not only reflect the surrounding context, but also reverberating and witnessing the transformation of the Park and city in time. 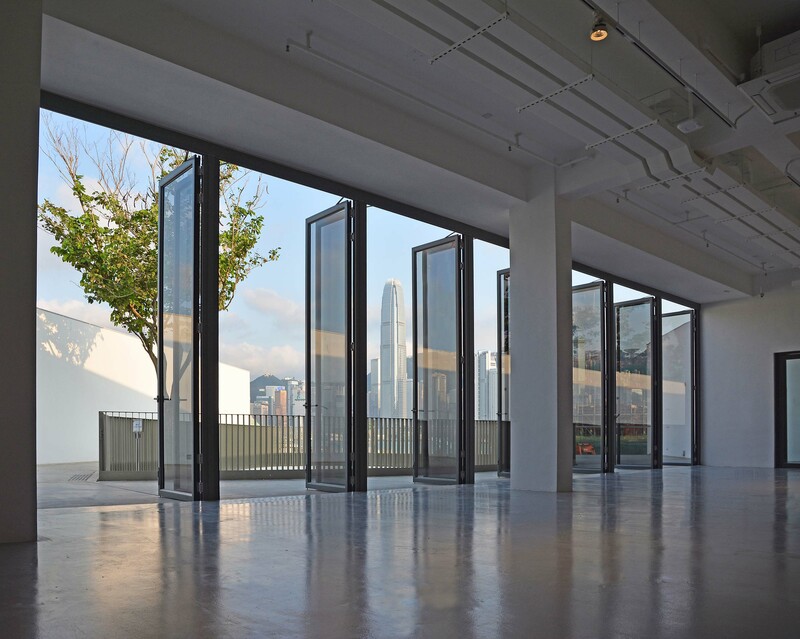 The exhibition space has full length openable glazed doors to create connection between indoor and outdoor open deck and landscape berm with various lightings and open-air settings. 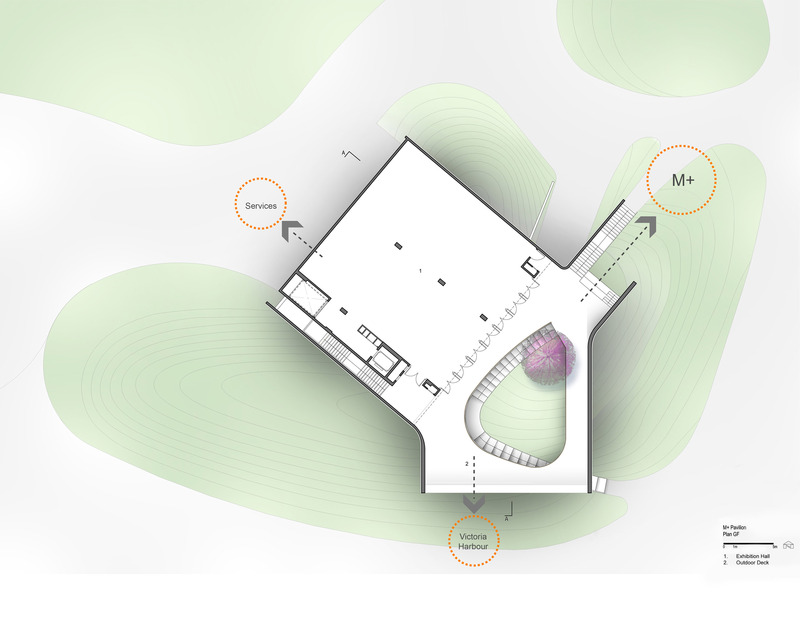 This flexibility allows transformations and the Pavilion is a platform for staging all kinds of exhibitions and events.